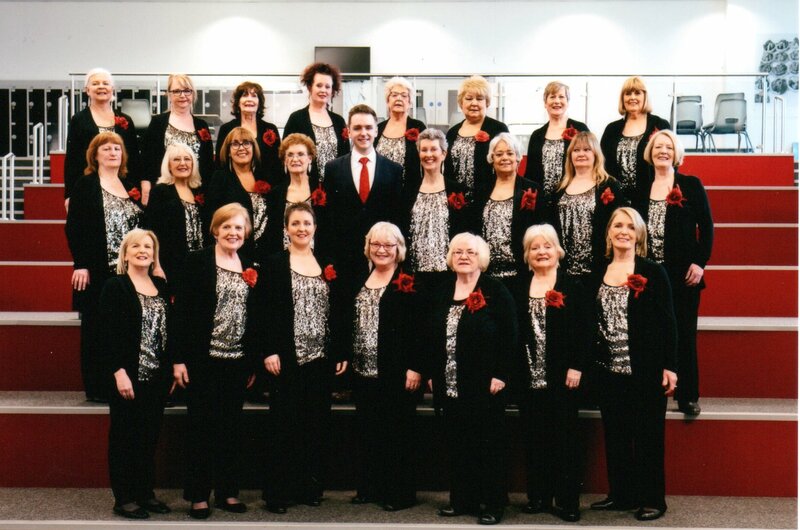 Mersey Harmony were delighted to take part in this year’s Wirral Music Festival, held at Birkenhead High School Academy on Saturday, 17th March. The class we were involved in was the last of a 2-day long festival but enjoyable to do nevertheless. 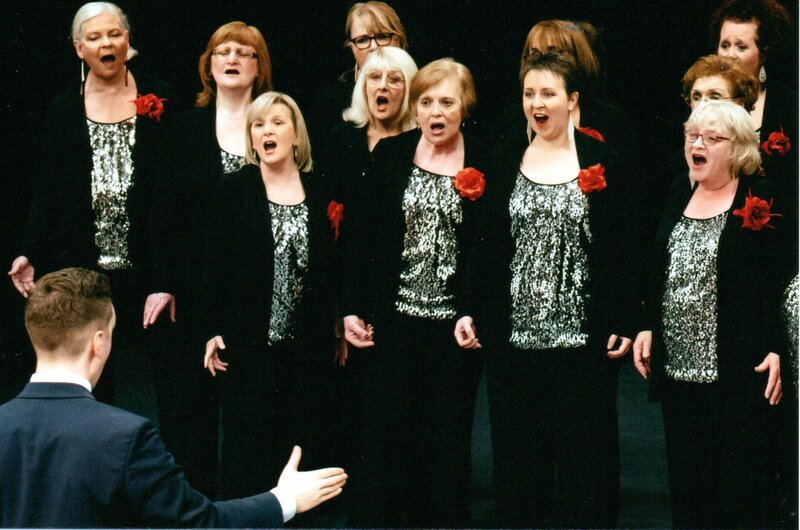 We sang Java Jive; Something and If I can Dream which were well received by the audience and adjudicators alike. 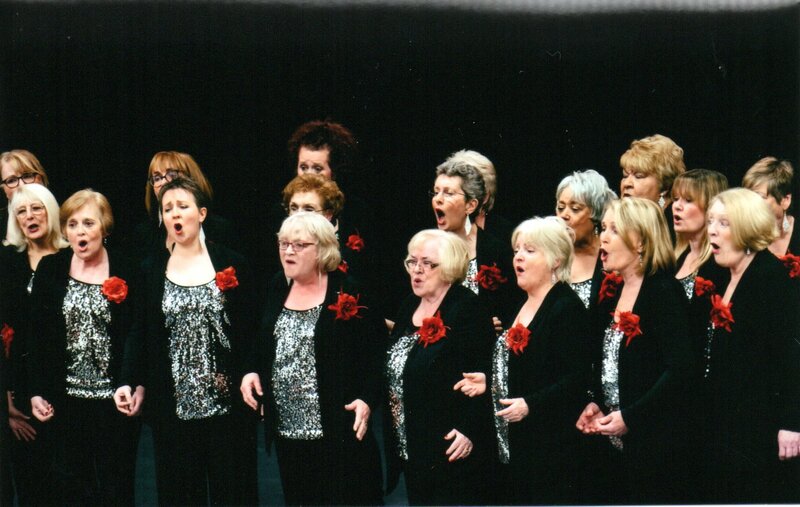 Picture shows us looking in splendid in sparkly tops and red roses.